Everyone loves that new car smell, but buying brand new isn’t always the smartest option for your budget. If you want to shop smart, check out these five smart reasons why you should be buying a used car! Of course saving money had to be the number one reason to buy used over new; it just makes sense! Cars today are built a lot better than they used to be, and can handle a lot more wear and tear so long as the owner provides the proper care. While this doesn’t mean you should go overboard and grab the cheapest van on the lot so save a quick buck, it does mean you should at least take a look at all the used versions of the newer cars you do love to see if you can get in on all those major savings! If you didn’t know, a new car can depreciate in value by up to 20% just from you driving off the lot. That means, if you bought a brand new car, crossed the border of their parking lot, and then turned around because you changed your mind – it isn’t even worth what it was 10 seconds ago. Then, even if you keep it in mint condition, it will still depreciate another 10% at least within the first year you own it. That means, for a new car priced at around $30,000 you’re losing about nine grand in one year for nothing! Keep your money. Find a practically new used car that still offers everything you want for the significantly lower price, you won’t regret it. Your cost of insurance depends of the cost of your vehicle. If you have a crazy valuable car, your insurance will be equally expensive to be able to cover the damages if something happens. The great thing about a used car, however, is that its lower price equates to greater savings on your insurance. Depending on the age of the vehicle, you may even be able to drop collision and theft insurance once it’s paid off, which will reduce your payments even more! Much like how insurance companies determine your rates based on your vehicle’s transaction price, state registration fees are calculated the same way. If you car is less expensive, it will be less expensive for you to register it. Think of it this way, if you buy a brand new car that utilizes all the newest, latest, and greatest parts and technologies – finding the parts you need if something breaks is a lot more expensive. Many people will even go so far as to avoid certain auto brands, like BMW, because parts from foreign countries are harder to come by and much more expensive. However, by buying used, you have access to entire aftermarket communities, filled with people who own the same and/or similar vehicles as you, all of whom know how to overcome any vehicular frustrations that may pop up once you’ve had your car for a while. Plus, common parts means less expensive maintenance costs over time! 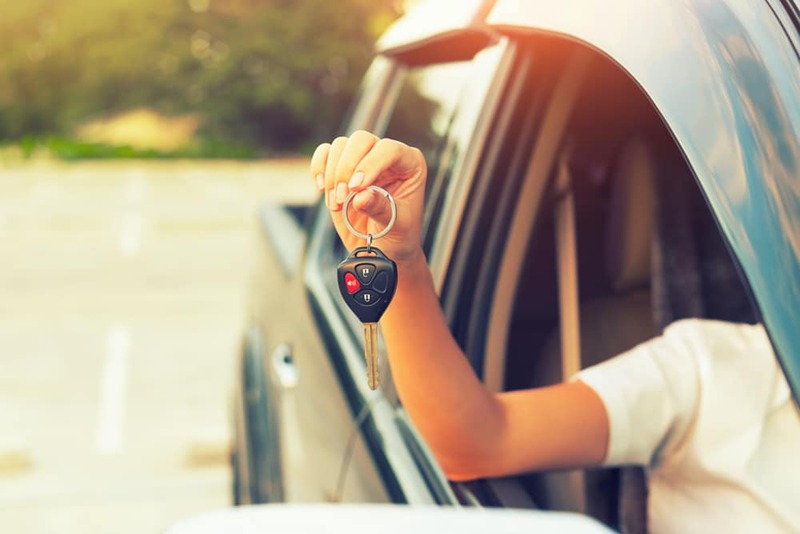 To find both the used car and auto financing of your dreams, we encourage you to put your trust in our experts at Suburban Auto Finance, today, by clicking Apply Now to begin filling our your bad credit car loan application!